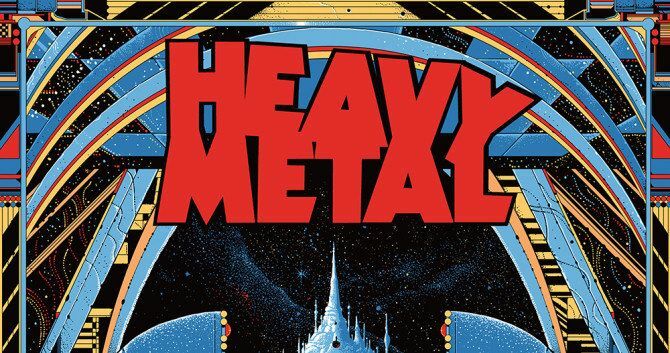 A teaser poster for the upcoming Heavy Metal reboot has surfaced. Swedish artist Kilian Eng illustrated this one-sheet, which will be made available at this year's Comic-Con. "This is an opportunity to connect with the fans and listen to what they want to see as well as presenting them with our vision." Along with the poster, the Heavy Metal, the amazing independent toy maker, Retroband, has created single-edition action figures based on characters from the classic film including Taarna, Harry Canyon, and the B-17 Gunner.